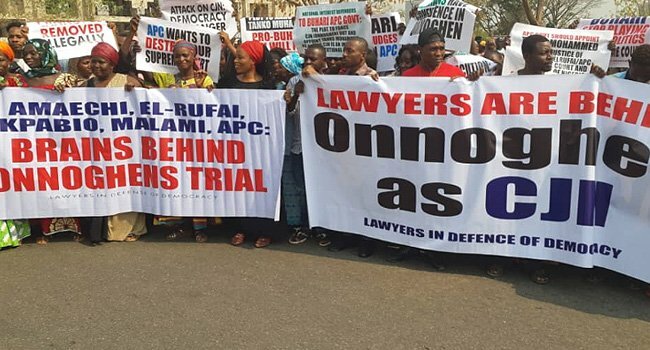 Nigerian lawyers and other human rights activists are protesting the suspension of the Chief Justice of Nigeria, Walter Onnoghen. 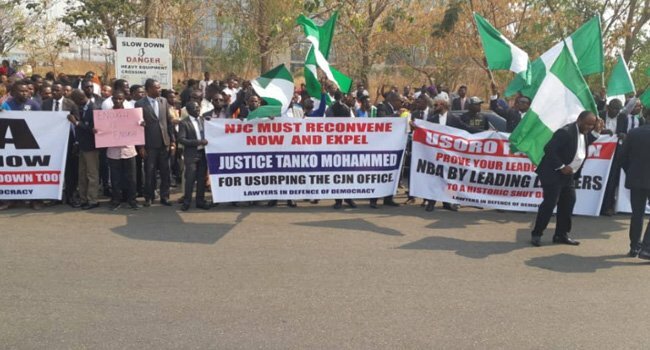 The protesters under the aegis of the Nigerian Bar Association including members of the National Interest Defenders and Lawyers in Defense of Democracy are currently protesting at the National Secretariat in Abuja. President Muhammadu Buhari suspended Onnoghen and swore-in Justice Tanko Mohammed in his place on Friday.